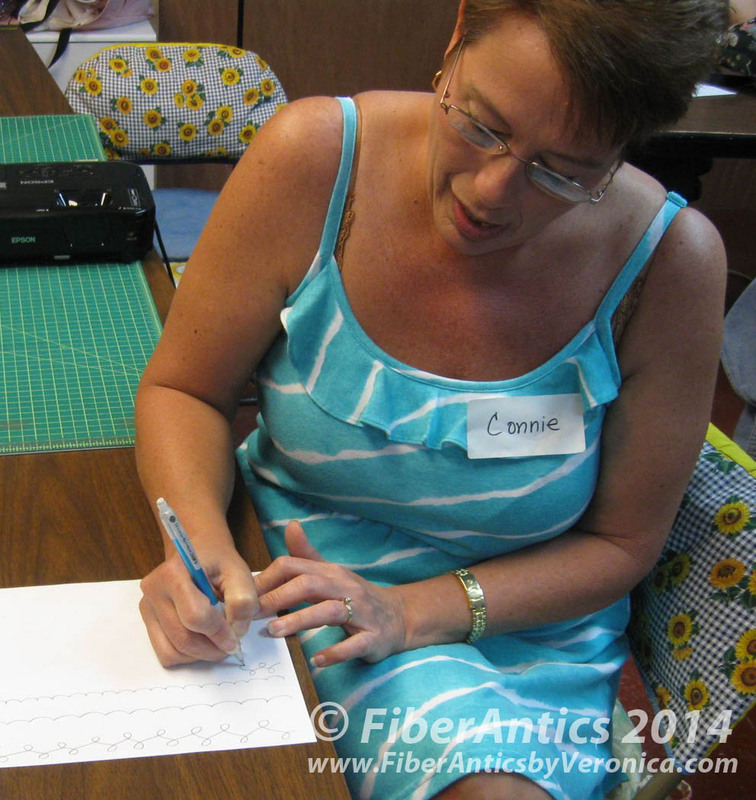 In my Intro to Free-motion Quilting class at Hyderhangout earlier this month, one of my students shared an epiphany with me. 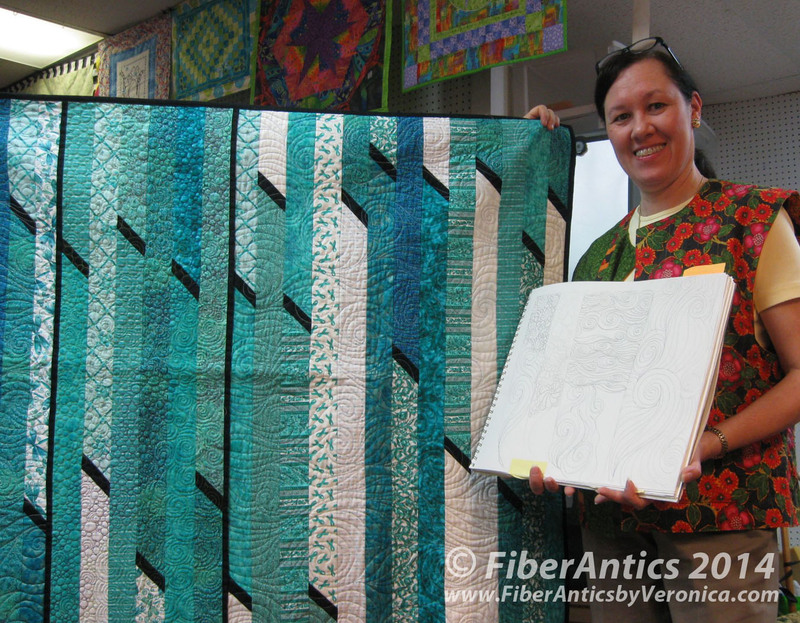 She said she enjoyed the class, appreciated my style of teaching, and that her eye-opening, jaw-dropping moment for free-motion quilting was when she heard the phrase, "Break free..." that accompanied my examples of free-motion quilting designs. The light bulb went on! 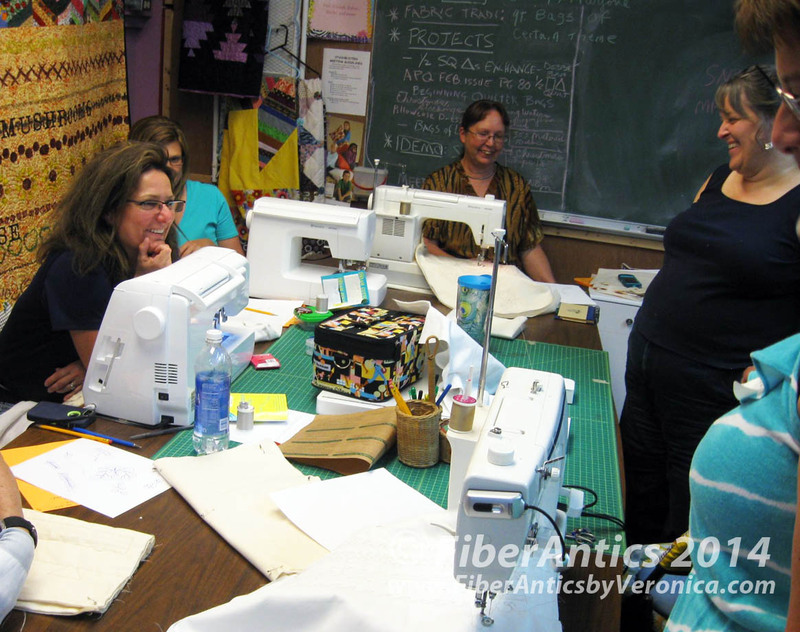 As with the vast majority of my Free-motion Quilting classes, there are students with various levels of experience—with sewing, quiltmaking and even some that have quilted on a long-arm or mid-arm quilting machine. This class was no different. 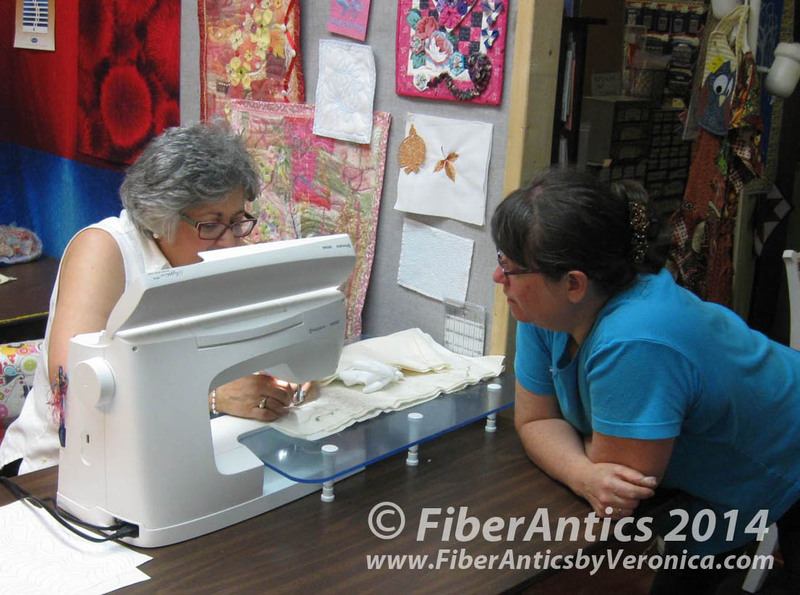 There were two women that used quilting machines attached to frames, two women that were brand new to piecing and quiltmaking and the others had hand quilting experience, quilted with the walking foot or had dabbled a bit with free-motion. These attendees spanned the gamut. I always enjoy this kind of diversity in a class because Q&A is usually quite lively and interesting and we all learn new things from each other. Isn't that what class [and life!] is all about? Here is a recap of the day, starting with warm-up exercises on paper. On to free-motion quilting on practice sandwiches. Susan Hyder, the shop owner, popped in during a break to check on the activities. We discussed inspiration and ideas for developing quilting motifs and designs through a Show and Tell of pieces of my work. 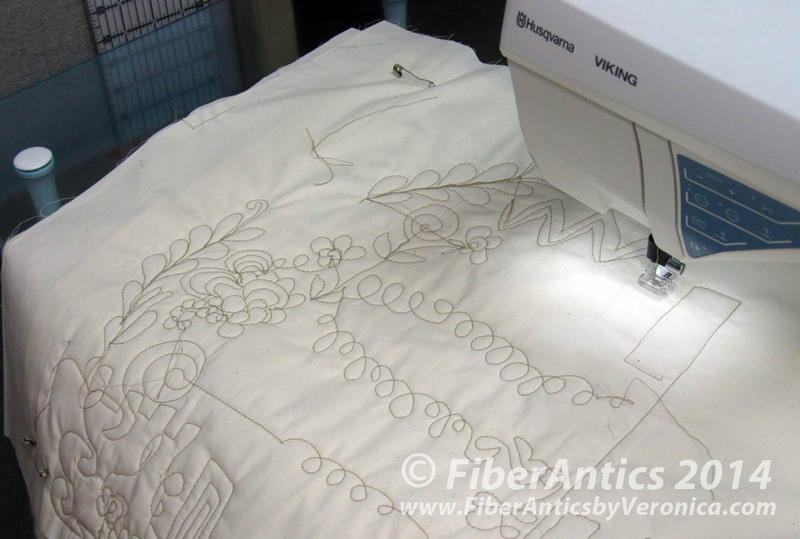 Here is how designs on paper transform into quilting on the actual quilt. Great discussions and camaraderie flourished among the class attendees. 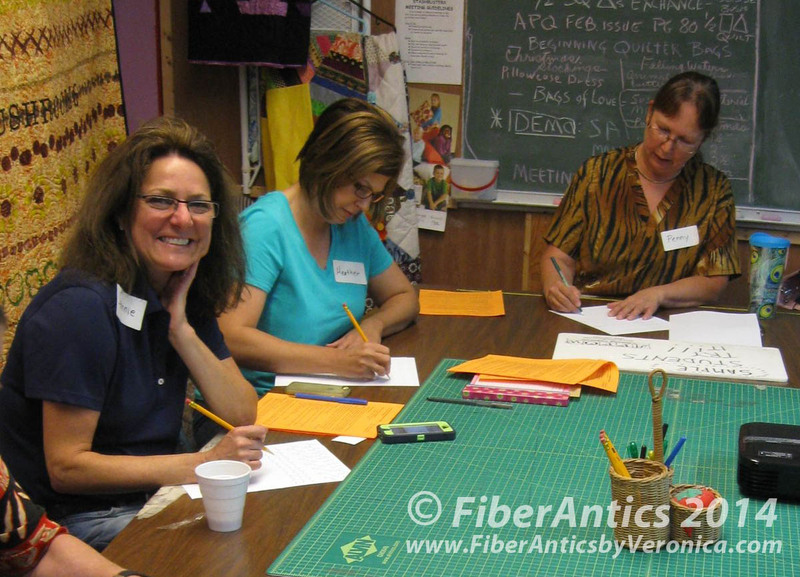 Free-motion class students at Hyderhangout quilt shop, Cleveland, TN. 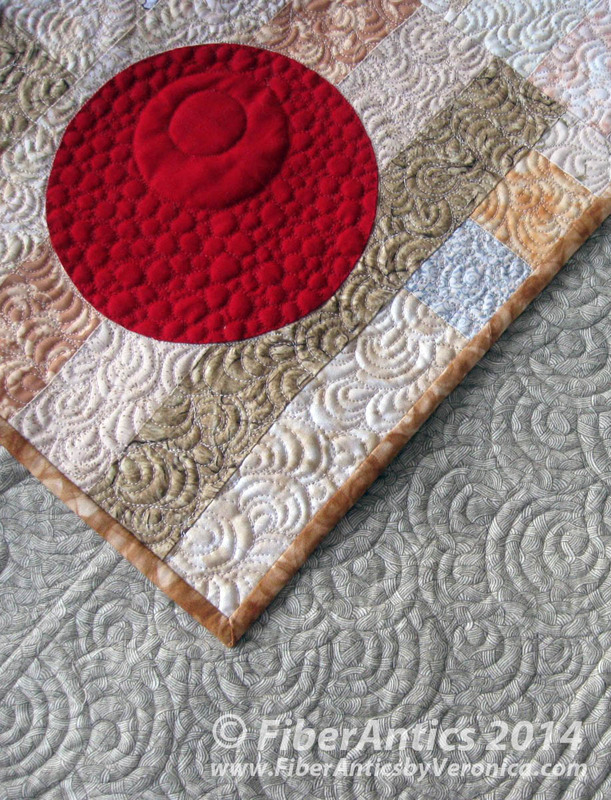 realizing there are no quilting police! 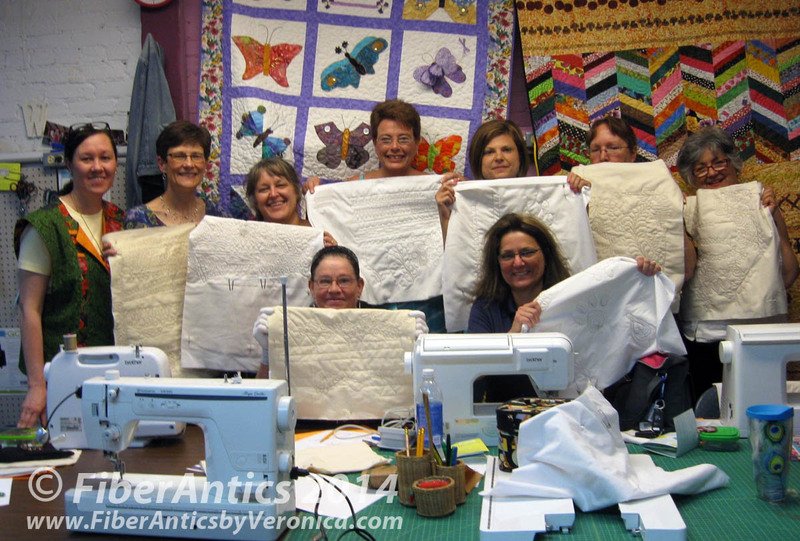 Successful students in Intro to Free-motion Quilting class. 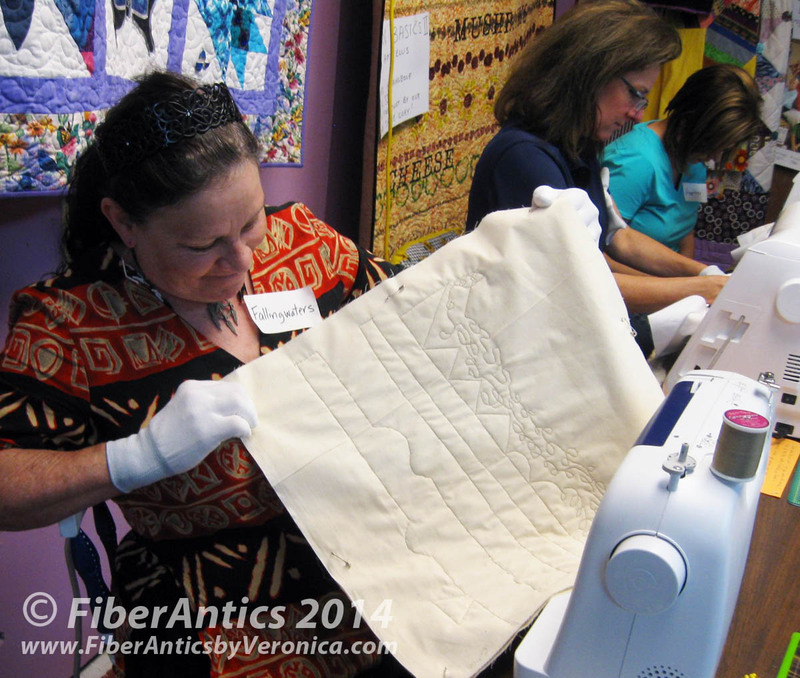 Thank you to Susan at Hyderhangout for hosting the class and congratulations to all my students—you are well on your way to fabulous free-motion quilting. Break free and soar!